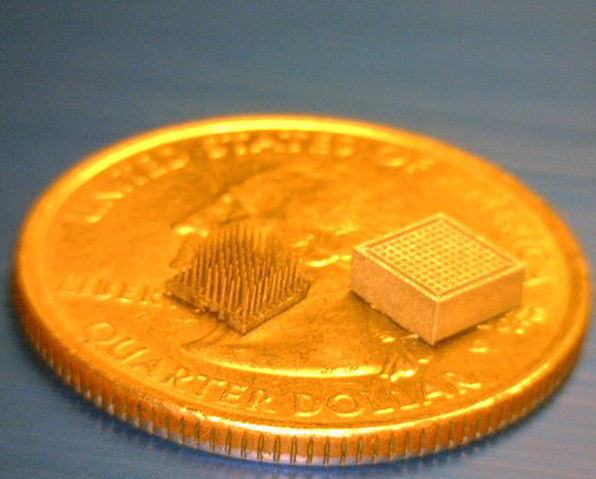 Dr. Robert Christopher Roberts from the University of Hong Kong (HKU) has developed high-aspect-ratio stainless steel microelectrode arrays (MEA) printed on a DMP50 GP device. The paper, published in 2017, describes the procedure of printing this application by Micro Laser Sintering (MLS) with a 3D MicroPrint machine purchased by HKU in 2015. Furthermore, Dr. Roberts characterized the MEA regarding both the electrical and mechanical properties to show the capabilities of MLS technology and its future use in biomedical applications.